Hearts Colts will host Ross County in the first round of the Irn-Bru Cup while Hibs Colts will face their Dundee counterparts. 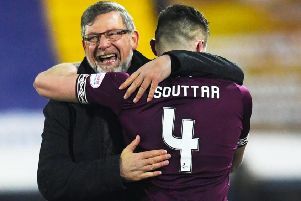 The wee Jambos have been handed a stern test against the recently relegated Staggies, with the Dingwall side boasting a number of seasoned top flight players including former Hibs defender Liam Fontaine, Ryan Dow, Michael Gardyne, Alex Schalk and Iain Vigurs. The tie will also pit Harry Paton against his former employers, after the young midfielder left Tynecastle in the summer to sign a permanent deal with County. Hibs Colts, meanwhile, can look forward to a mouthwatering clash away to Dundee Colts. Grant Murray’s side pipped the Dark Blues to the Development League title last season by six points, finishing on a total of 59 to Dundee’s 53. Hearts’ Under-20s were in third place on 52 points. Hibs won the home fixture 2-1 while Dundee recorded a 3-2 victory in the return clash at Links Park courtesy of a late winner. Elsewhere in the draw Lowland League champions Spartans face a trip to K Park to take on rivals East Kilbride, while Edinburgh City were handed a home tie against fellow League Two side Albion Rovers. Today’s draw included the 12 Premiership colt teams, the 30 clubs from the Scottish Championship, League One and League Two, and the three representatives from the Highland and Lowland Leagues. Lowland League teams BSC Glasgow and East Stirlingshire will battle it out in the preliminary round for the chance to take on Motherwell Colts in the first round proper. The eight non-Scottish teams - Boreham Wood and Sutton United of the Vanarama National League in England, Irish duo Bohemians and Bray Wanderers, Northern Irish pair Coleraine and Cliftonville plus Connah’s Quay Nomads and TNS of Wales - will enter at the second round stage. Ties will be played on August 14/15.